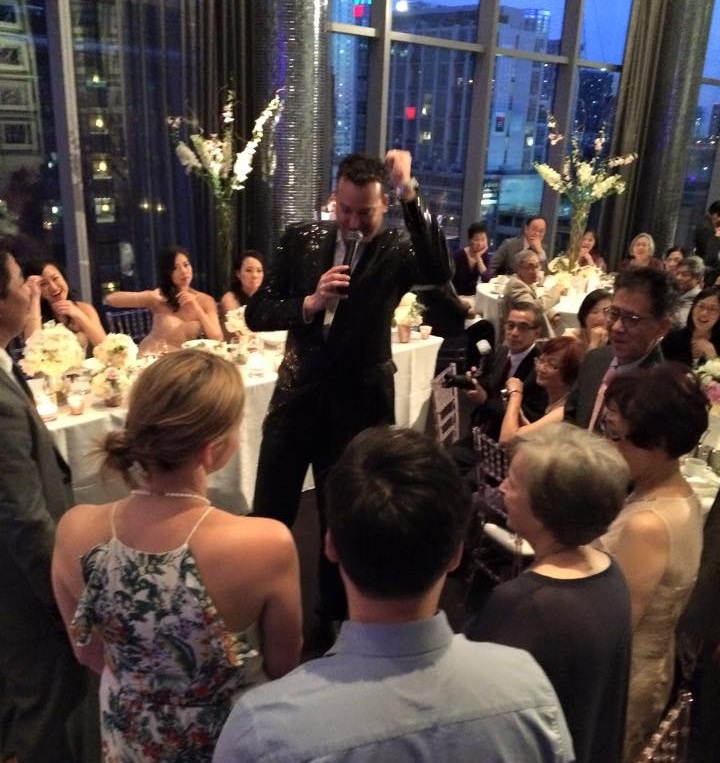 Through his ability to connect with any audience, Justin makes a terrific Wedding MC. He makes guests feel welcome so the bride and groom can relax knowing they have a true professional hosting their wedding! Click below for highlights of Justin showcasing his flair as he introduces the Bride & Groom to kick off the evening. It wouldn’t feel right to have a stranger sharing the stage on your big day. A meet and greet prior to the wedding ensures that Justin will have a much better idea of the vision and direction for the night. Justin will consult with the run of show, develop interactive and entertaining games and script bridal party and guest introductions, but more importantly build a comfort level by getting to know you! It’s time to allow Justin to take the podium and do his thing. From the moment he instructs guests to “take their seats” he will immediately bring his energy and passion to your reception and keep the evening moving in a fun direction. Justin will collaborate with you and your DJ to tailor his presence to suit the vibe of the evening. He works hard to prepare, and always brings his A game to ensure Bride, Groom, guests….and Grandma are all having fun! Justin typically hangs up the mic when the dance floor opens. At that point, Bride and Groom can relax, enjoy and depart on their honeymoon knowing they just threw an EPIC party!